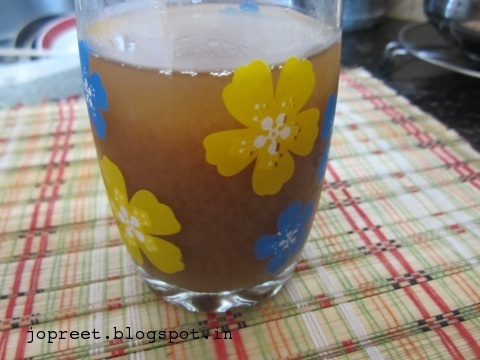 Imli Sharbat can be used for one week if refrigerated. Cool off your mind and beat the summer with Chill Imli Sharbat. I have referred “50 Great Recipes – Sharbats” book for the recipe. Remove the tamarind pulp and boil the tamarind water for 5 mins. Add jaggery, pepper and black water. Stir it continuously and add 2 cup water. Heat it over low flame and boil the sharbat for 2-5 mins. Remove from the heat and allow to cool. Serve it chilled.